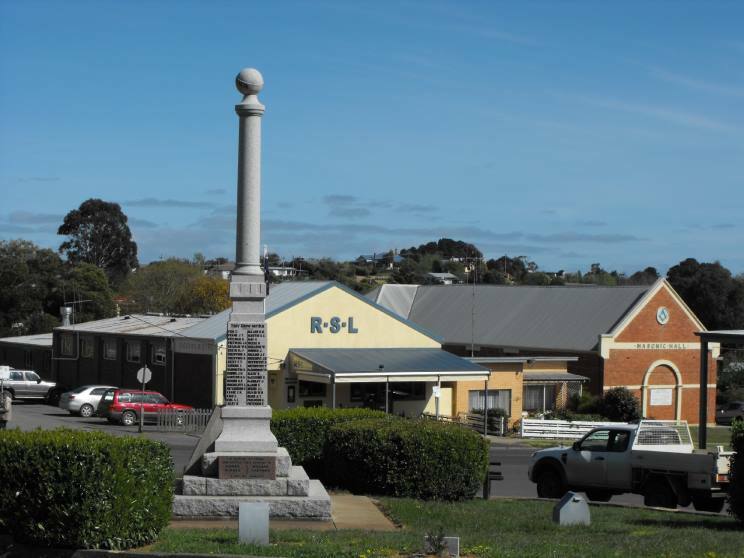 The Daylesford War Memorial located in the Victorian rural town of Daylesford. 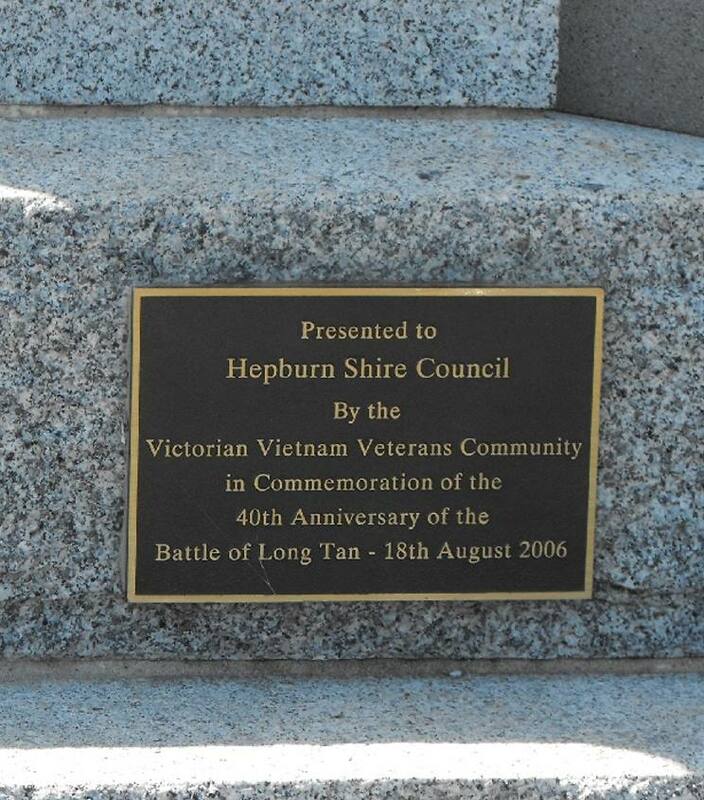 This memorial was originally established to honour those from the local area who served in The Great War 1914-1918 (WWI) but additional plaques now honour those who served in all subsequent conflicts, including separate plaque commemorating the 40th anniversary in 2006 of the Battle of Long Tan involving ANZAC forces during the Vietnam War. 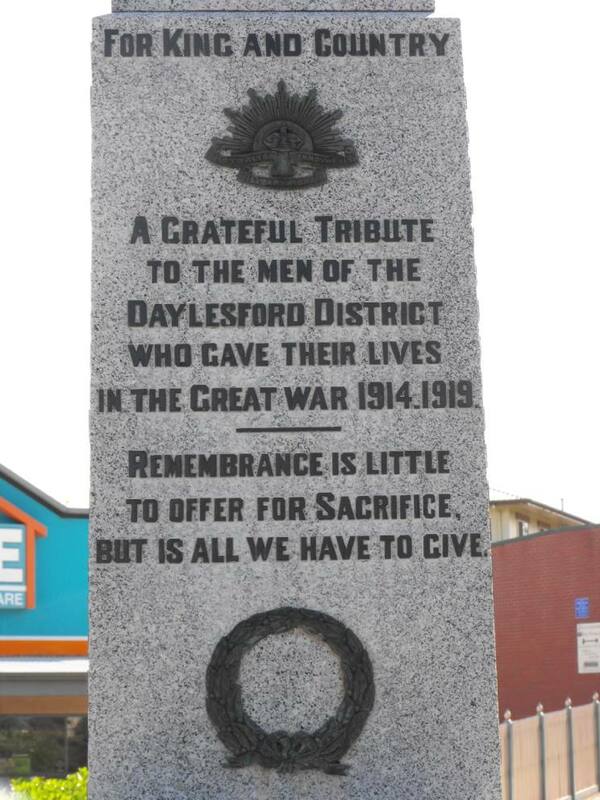 Close-up of the original dedication. 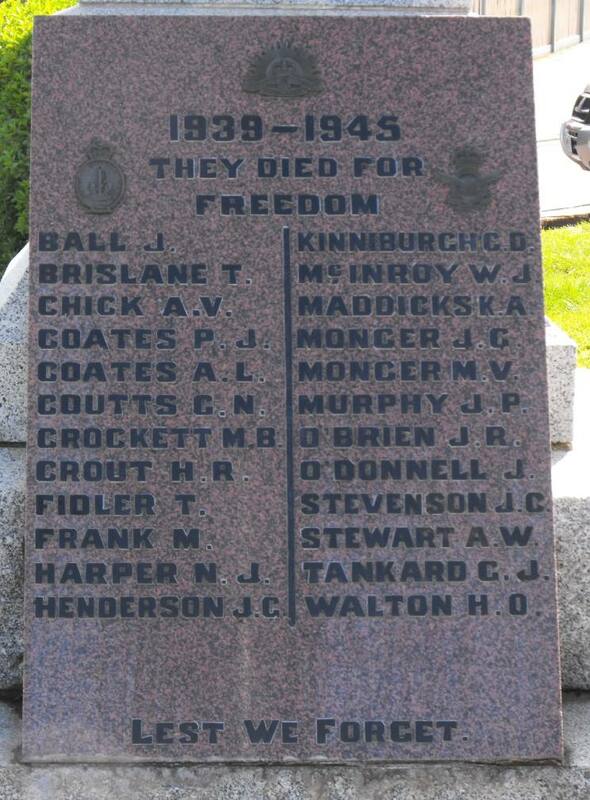 Close-up of the World War II Roll of Honour. 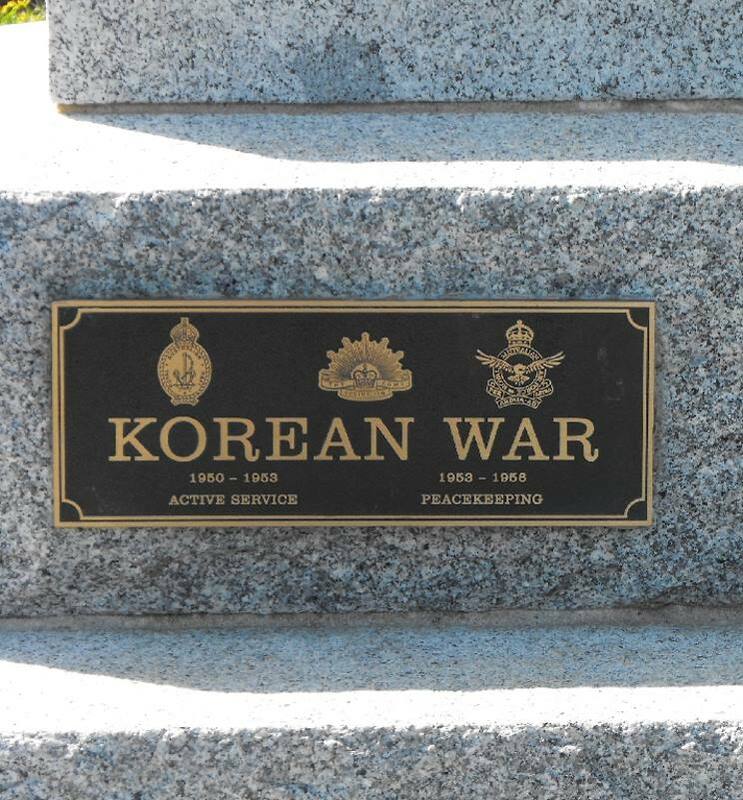 Close-up of the Korean War plaque. 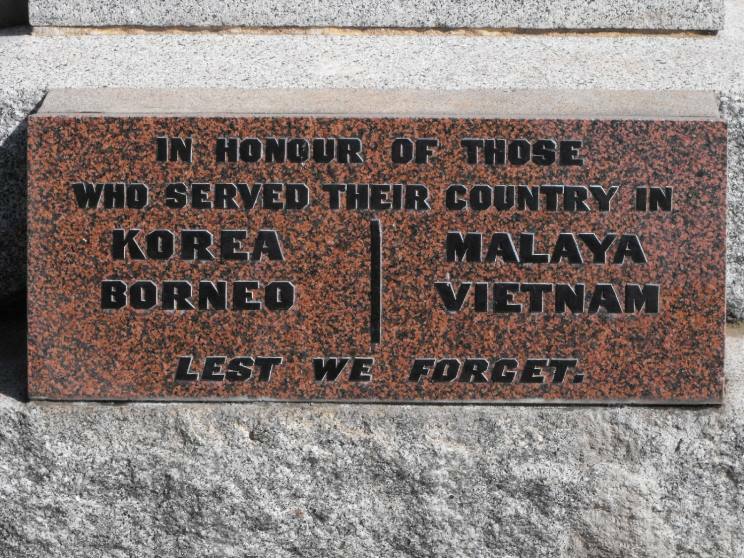 Close-up of the Korea, Borneo, Malaya and Vietnam plaque. Close-up of the Battle of Lon Tan Anniversary plaque. 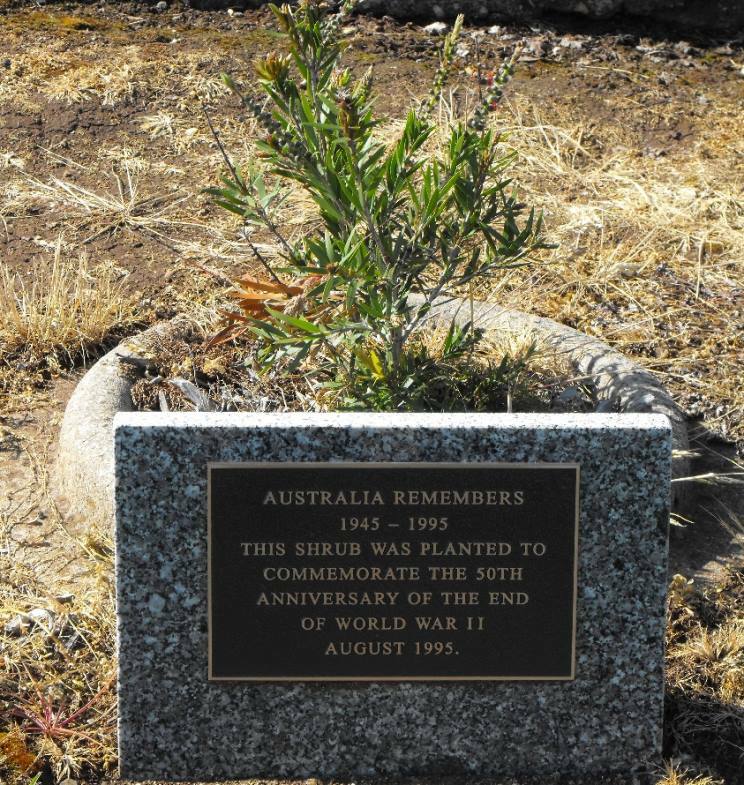 A shrub planted in commemoration of the 50th Anniversary of the end of World War II.